A worrying story from Sussex. When selecting candidates for the local elections on May 2nd, our branch of the Labour Party aimed to include at least one person who knows what it is like to live with a permanent disability or a chronic illness. Of course, there are many people in this situation who do not have sufficient spare energy, however much they would like to become councillors, but we had not taken into account one of the biggest obstacles of all: the Department of Work & Pensions. During the past decade the DWP has become overwhelmingly concerned with the economic productivity of disabled and sick people. Work Capability Assessments (which are farmed out and run for profit) inform those in severe daily pain that if they can cross a small room they can work. Back in 2011, when the DWP was still keeping this type of record, 10,600 sick and disabled people who were denied benefits died within six weeks of their assessment, and the introduction of Universal Credit is only making things worse. You may deplore these tragic effects while telling yourself that most people are treated fairly, but the system dominates the lives of all claimants and defines them entirely in terms of their disability. If you are assessed as able to work, perhaps for a reduced time of 16 or 24 hours per week, you are liable to be penalised for any additional activities that come to the notice of the DWP. This is not about working surreptitiously for undeclared extra income, but taking part in leisure activities outside the home and being involved in the community in which you live. In this climate, a disabled person in receipt of benefits cannot volunteer, or be active in local societies (often possible in ways appropriate to their state of health) without being told that they could therefore work more hours or undertake more work-related activity. This includes all forms of protest in support of your beliefs (weekend anti-fracking activists in wheelchairs were recently reported by Lancashire police to the DWP), and – it seems – serving as an unpaid councillor on your town council. The obvious vagueness of this statement is not reassuring and, whatever the official line on councillors in receipt of disability benefits, the fact remains that people in this situation are afraid to risk it. As things are, younger people with disabilities (that is, those below pension age), people with disabilities who cannot work a 40-hour week, and anyone not supported financially by their family are effectively prevented from representing their community. If any of our members with disabilities are not in these situations and therefore feel free to become candidates, we greatly welcome their applications, but the fact remains that democracy is not being served. That most disabled people are HUMAN BEINGS and would not dream of going anywhere near sick sub-human hate-criminal ‘political’ filth. 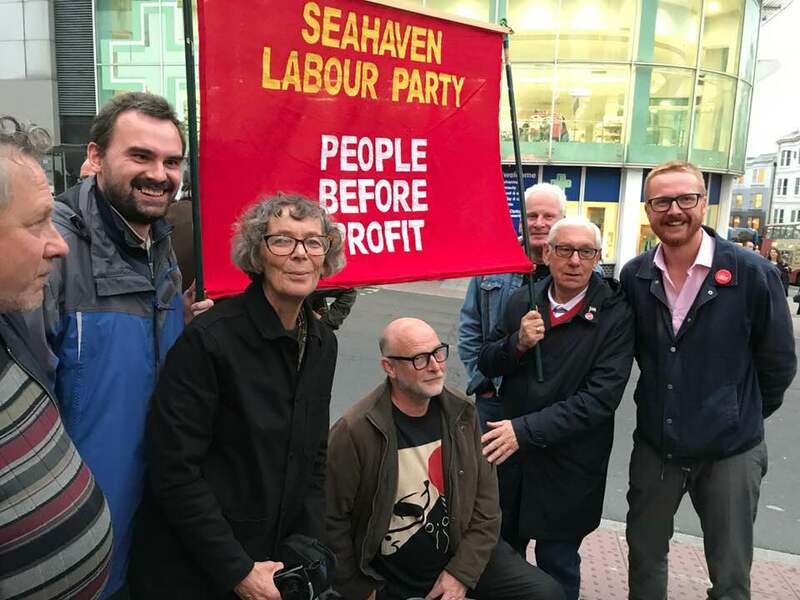 So why haven’t “Lewes Constituency Labour Party” called the POLICE ??? So how come these BSing fakers haven’t heard of the POLICE??? So “Lewes Constituency Labour Party” criminals ❤❤❤💋❤ Theresa May and it’s DWP. I cannot post from your site to Facebook. It says this post is against community standards. Might want to check it out with Facebook. Fakebook doesn’t want to Pi*s off criminal politicians. Politicians might start actually ‘doing’ something about Privacy Violations / Fake News and Tax Bills. Nicky, the Facebook share function is now working for this post again. Reblogged this on Introverted but Socially Concerned.